Just a few quick notes before we begin. 1) Charlaine Harris (yes, the Charlaine Harris) will be at the WV Book Festival tomorrow. See you there. 2) Stop by the Info Booth at the Bob Evans Farm Festival today from 1-5 to see me. Not a formal book signing, but I’ll sign’em if you bring’em. 3) Just confirmed book signing at Silver Screen VII Gallipolis prior to midnight show of Breaking Dawn Pt. II. 4) Headed to Dallas (Grapevine actually) this Monday. Will be there for the week. If you’re in town, drop me a line. The biggest opportunity of course is that I’m not tied down by the restraints of traditional publishing. My time is my own. I can give as much or as little to my business as I want; that decision is mine. I can continue to work in corporate communications (a job I love) and spend my personal time writing fiction and telling people about my work, rather than querying agents. And since I mentioned corporate communications, even though it is a job I adore, most of my work is ghost writing. Since I’ve broken out as an indie author, a whole new world has opened up to me. Businesses contact me for book signings. Schools contact me to be a speaker. Fellow indie authors contact me to help them edit or for advice. One day, I was visiting a high school and the art teacher asked to speak with me. 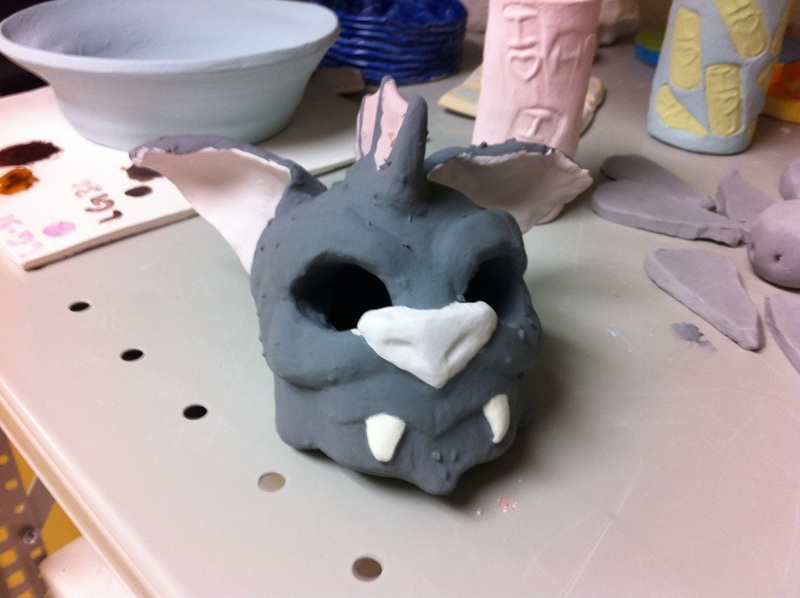 He walked me into the kiln where a student had created a sculpture inspired by mogdocs (above). So cool! While in my non-fiction, corporate career I had been interviewed by The New York Times, my most memorable interview is still the one by the Eagle River Star (Alaska) about my work as an indie author. It was just more personal somehow . . . more real. If I wasn’t indie, the interview probably wouldn’t have happened. I doubt that an agent or publishing house would have allowed me to talk of works in progress so freely. However, I have to say that one of the best opportunities/joys has been working with the talented authors of the YA Indie Carnival. These ladies are dedicated to the craft, and they are a whirlwind of fun. If you don’t know them, here’s your chance. Check out their blogs below.